Color blind tests: Do you see colors as they really are? A color blind test is a device your eye doctor uses to determine if you have a color vision deficiency, commonly known as color blindness. The most widely used screening test for color blindness is the Ishihara Color Vision Test. The test is named after Japanese ophthalmologist Shinobu Ishihara (1879-1963), who devised the procedure and first published a description of it in 1917. Eye doctors use Ishihara plates to screen patients for color vision problems. Someone with a red-green color deficiency may not see the red number in this example. The Ishihara Color Vision Test consists of a booklet, each page containing a circular pattern (or "plate") comprising many dots of various colors, brightness and sizes. The seemingly random colored dots are arranged in such a fashion that a person with normal color vision will see a single-digit or two-digit number within the array of dots. But a colorblind person will either be unable to see a number or will see a different number than the one seen by a person with normal color vision. The complete Ishihara Color Vision Test contains 38 plates. Abbreviated versions that contain 14 or 24 plates are more frequently used as screening tests during a comprehensive eye exam. People being tested generally view the Ishihara plates in normal room lighting while wearing their normal prescription glasses. Because the Ishihara test requires the person being screened to recognize and identify numbers, the test may be less reliable when testing the color vision of very young children. A term frequently used to describe the color images in a Ishihara Color Vision Test is "pseudoisochromatic plates." This alludes to some of the colored dots in the pattern that may at first seem equal ("iso-") in color ("chromatic") with surrounding dots. But this is a false ("pseudo") sameness, and the difference that exists enables a person with normal color vision to detect the "hidden" number within the array of dots. Since the introduction of the Ishihara Color Vision Test, medical device companies have developed similar color blindness screening tests using pseudoisochromatic plates. For example, the ColorDx computerized color vision test (Konan Medical) is a self-administered, self-scoring app that's available to download on tablet computers. In addition to testing for genetic color blindness, the ColorDx app can detect color vision deficiencies that can develop later in life due to glaucoma, multiple sclerosis, diabetic retinopathy, macular edema and other disorders, as well as color vision problems associated with long-term use of medications and other substances, according to the company. For a more detailed analysis of color blindness and/or a person's ability to accurately perceive colors, a quantitative color blind test is needed. The most popular such test is the Farnsworth-Munsell 100 Hue Test. This test consists of four trays containing many small disks of varying hues. Each tray has a colored reference disk at one end. The person being tested must arrange the other disks within the tray to create a continuum of gradually changing hue. For accurate results, the Farnsworth-Munsell 100 Hue Test should be administered in a viewing booth that simulates natural daylight as closely as possible. Also, the colored disks should be replaced at least every two years to prevent loss of color saturation that could affect outcomes. Each colored disk is numbered on the bottom to enable scoring the results against a key. The closer the match between the test sequence of caps and the correct sequence, the more accurate the person's color perception is. In this fashion, the 100 Hue Test can detect whether or not the person being tested is colorblind and also determine the type and severity of his or her color blindness. An abbreviated version of the 100 Hue test — called the Farnsworth-Munsell D15 Test — contains only 15 numbered disks of different hues. The D15 test, like the Ishihara Color Vision Test, is for color vision screening purposes only, and cannot quantify the severity of a person's color blindness. Who should take a color blind test? A color blind test should be given to anyone considering a profession where accurate color perception is essential. Examples include electricians, commercial artists, designers, technicians, and certain manufacturing and marketing personnel. The effect color blindness has on a person's job performance depends in large part on the color-related requirements of the position and the severity of the person's color vision deficiency. In many cases, fears about being handicapped by color blindness are unwarranted. Because the condition is present at birth, most colorblind people are unaware of their color vision deficiency and do not find that it interferes significantly with their daily lives. Though there is no treatment for color blindness, in some cases specially tinted contact lenses may improve a colorblind person's ability to perceive the differences between certain colors. Many color blind tests can be found online. Most of these are variations of the Ishihara screening test and are presented in varying degrees of quality. Because exact color representation is essential for the accuracy of any color blind test, results from online color vision screening tests are suspect. 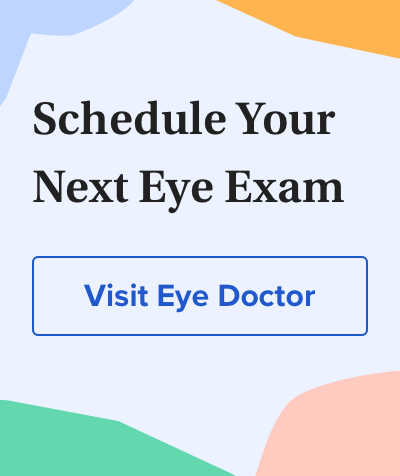 For the most accurate results, see your eye doctor and take a color blind test administered by a trained professional using standardized testing materials under proper lighting.